"We may see significant collapse of West Antarctica in our lifetimes." The West Antarctic Ice Sheet has always been a danger zone for possible breakup. That’s why the area is so closely monitored by the Landsat 8 satellite, a joint project by NASA and the US Geological Survey. Recently, researchers from Ohio State University studying data from a break from 2015 noticed something strange. 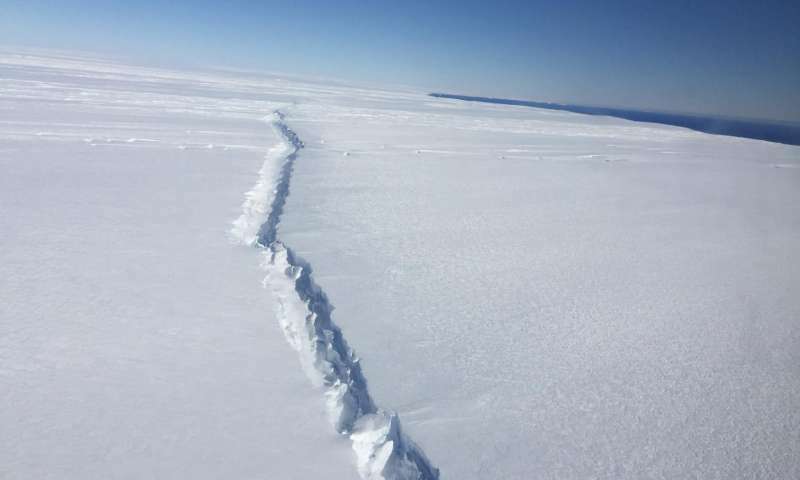 A huge 583-square-kilometer (225-square-mile) iceberg broke off the Pine Island Glacier, part of the ice shelf that bounds the West Antarctic Ice Sheet, showcasing just how fragile our polar ice can get. Eventually, the traveling chunk will melt, raising sea levels around the world. Evidence from the satellite suggests that this break was caused by a rupture in the shelf 32 kilometers (20 miles) inland over two weeks in July-August 2015. This indicates the glacier is breaking apart from the inside. Even worse, a second inland rift is forming. The whole phenomenon is troubling, since accelerated melting will have a disastrous effect on sea level. NASA says the region “contains enough ice to raise global sea levels by 1.2 meters (4ft).” Traditional estimates of sea level rise don’t account for massive Antarctic ice loss, so these new trends will push those estimates upward. All this merely underscores the grave threat global warming poses to society. Many cities lie close to the coast, so all will be affected. These concerning trends in Arctic sea ice and global temperatures just further the case for urgency. One can only hope that the political consensus on climate change, and further scientific advancements, will be enough to stave off catastrophe.